We offer such variety in our services to make sure that every patient is able to achieve a happy, healthy smile. As dental professionals, we know that proper oral health can sometimes be the difference between timidness and confidence. Glen Mills patients of all ages can have their dental needs taken care of at Alrez Family Dentistry. We have experience in all types of dentistry, including children’s dentistry, so we’re familiar with all types of clients. Our focus is on patient comfort and we do our best to make even the most nervous patients feel relaxed in our updated, comfortable facility. 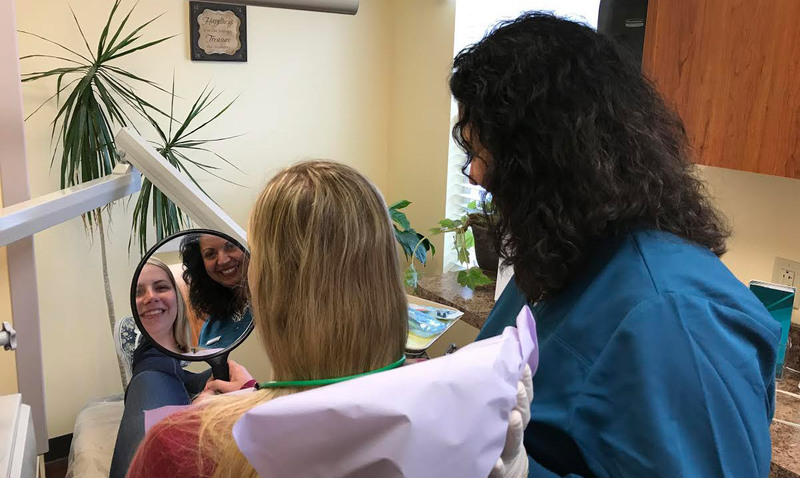 Alrez Family Dentistry offers multiple programs to make dental care accessible for all of our Glen Mills patients, including an in-house discount plan and credit and financing. Also, we supply affordable laughing gas and accept most insurance plans. We believe that no one should have to sacrifice quality dental care simply because of cost. We also serve patients from West Chester and Delaware County. What are People in Glen Mills Saying? My family and I have been with this practice for nearly 5 years. We’re extremely pleased. As pain free as dentistry can get (and I’m a wus). Even my 11 year old has no fear. They’re extremely friendly and caring. The quality of care is top notch. I had a temporary crown fall out while on a business trip. Dr. Alrez took my call for help at 10 PM (she was at home) and walked me through re-inserting it using a temporary cement kit from CVS. The temp stayed in for another 4 days (no discomfort) until I was able to come in for my permanent crown. The permanent fits like it was a real tooth (no temperature sensitivity). She even texted me every day while I was gone to make sure that I was ok! Note: Certain restrictions apply, may not apply to patients with gum or periodontal disease. For more information about our services, fill out our contact form or give us a call at 610-358-0313. Recommend us to a friend or family member & get rewarded! For patients with high anxiety laughing gas can make dental procedures much easier. Love Dr Alrez! My family has been seeing her for years! Everyone in the office is very kind and Dr. Alrez is very caring and compassionate and always goes the extra mile. She takes the time to talk with you about any concerns and you never feel rushed. I heard about tooth fairies, now I meet them regularly and they take care of my teeth and health. Dr Alrez is the best dentist I’ve ever had. She is friendly and really cares about her patients. Finally, my teeth look great, I’m not embarrassed to smile now. The staff is friendly and dental cleanings are comfortable and very well done. If you live in the area of Brinton Lake in PA, this is the dental office for you. Dr. Alrez is very friendly, honest and professional. We are extremely happy with her level of care and attention to detail when it comes to our teeth as a family. Highly recommend to families with kids especially, the whole staff takes extra care to make sure kids are comfortable and leave with positive experience. My son is so excited to go back everytime! This is my first time back to a dentist in 10 years. I have a phobia for dentists from a very young age. I went to Dr. Alrez and she and her office made me feel very comfortable during my visits. 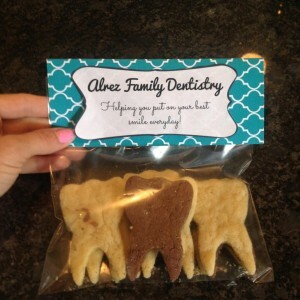 I would highly recommend Dr Alrez for an entire family’s dental needs. Everything was great. I love everyone here Dr. Alrez and the whole office took good care of me and despite my dental difficulties, we all laughed a lot. What’s more to say? The staff at Alrez is fabulous! Professionals in dentistry and customer service! You will not find a health professional with a better bedside manner or a higher level of personalized care. Dr. Alrez and her staff are amazing. I visited Alrez Family Dentistry for teeth whitening. The experience was great!! I would recommend the practice without reservation. The staff and doctor were pleasant, friendly and took good care of me. They went out of their way to make sure my visit was great. Dr Alrez and her assistant made us (me & my parents) feel that we are their elite clients. Dr. is very professional, unlike other places I have been to, this Dr. will show you color pics of your teeth and explain you in detail about the health of your teeth. I felt like I was hanging out with a buddy of mine rather than visiting a doc. I will recommend Dr. Alrez with NO hesitation to anyone. Braces vs. ClearCorrect®: What’s the Difference?